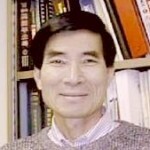 GC Immigration Working Group: Pyong Gap Min, Ph.D.
Pyong Gap Min is a distinguished Professor of Sociology at Queens College and the Graduate Center. He also serves as Director of The Research Center for Korean Community at Queens College. He has taught courses on race and ethnic relations, immigration, ethnic identity, marriage and the family, new immigrants and their religions, and Asian Americans. The areas of his research focus are immigrant entrepreneurship, ethnic identity, changes in the family and women’s gender role, and immigrants’ religions, with a special focus on Asian Americans. Preserving Ethnicity through Religion in America: Korean Protestants and Indian Hindus across Generations (New York University Press, 2010). Mass Migration to the United States: Classical and Contemporary Periods.